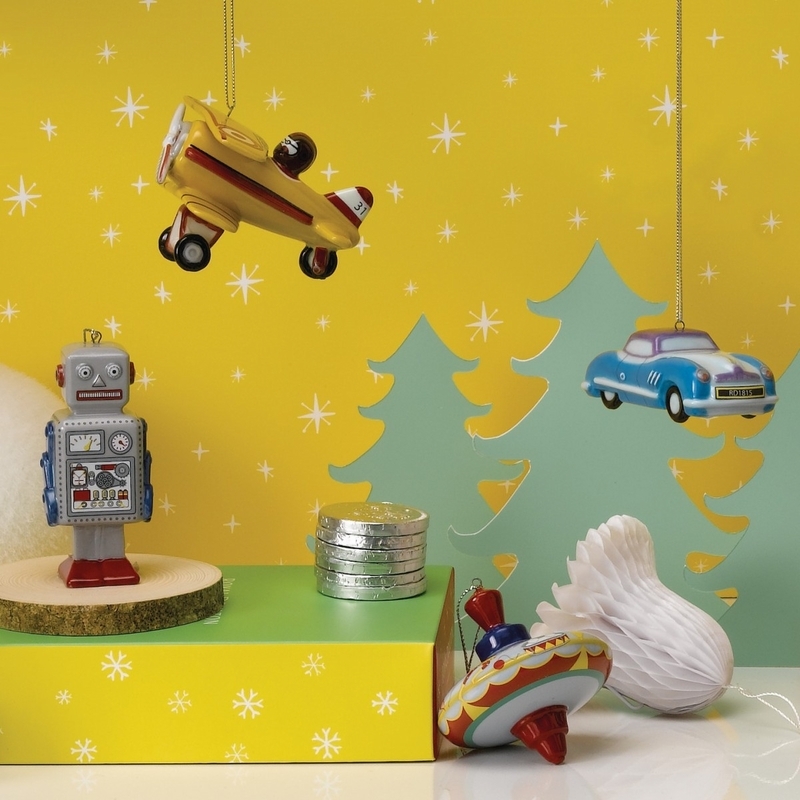 Recapture the magic of the holidays with the 2016 Nostalgic Christmas Ornaments Collection. One of the most nostalgic of childhood toys is the tin spinning top that needed careful balancing and pumping to get it to both spin and melodiously hum. 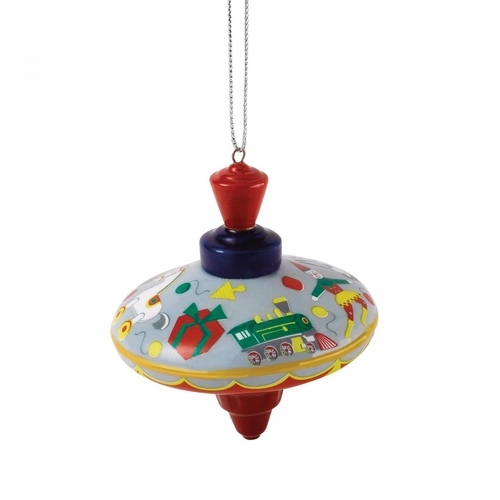 The brightly decorated Spinning Top Christmas Tree Ornament is guaranteed to bring those memories swirling back. Care Instructions: To clean, wipe with a soft, dry cloth. Not dishwasher or microwave safe.